This 35mm. 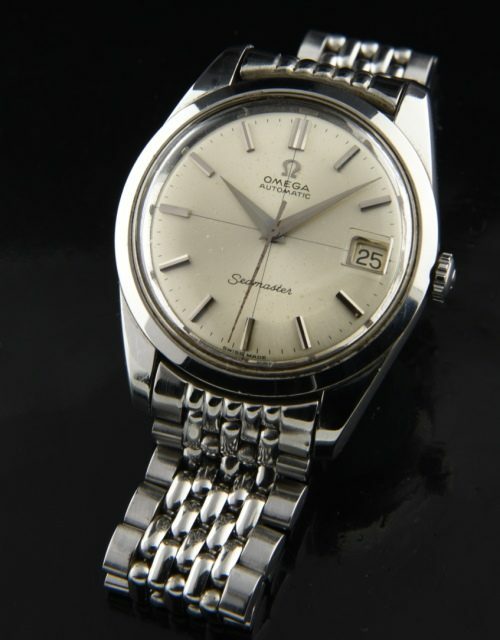 1966 OMEGA SEAMASTER automatic in stainless steel looks fabulous with its original quadrant dial and Dauphine hands. The steel case has the Sea Monster case back, beefy lugs and correct OMEGA winding crown. Any ageing to the original dial is very subtle when viewed “live”. This original OMEGA beads of rice bracelet is very clean and will fit an average 6.75 inch wrist. 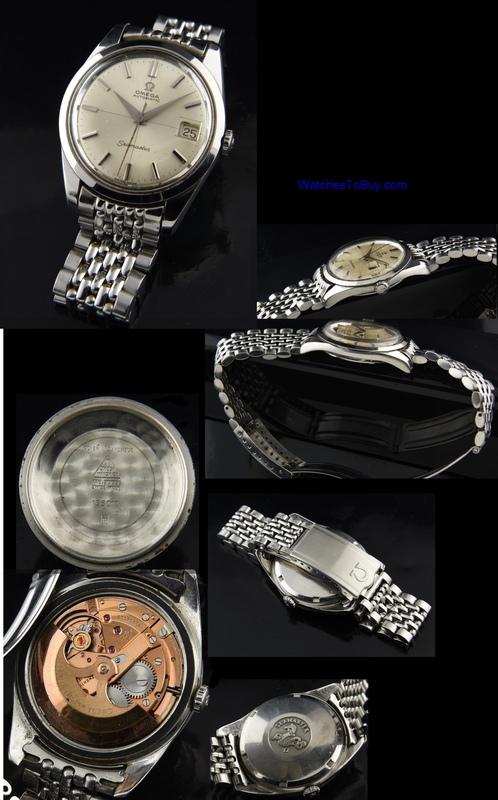 The fine caliber 562 OMEGA automatic winding movement was just cleaned and is accurate. These are VERY attractive looking watches on the wrist.